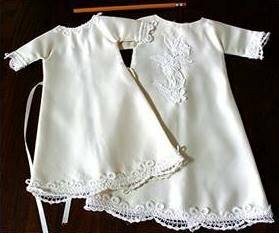 Nancy Pederson, a valued customer, introduced us to the "Little Angel Gowns" project. She has made many of these gowns, but has acknowledged that many more are needed.We thank her for willingly coming and overseeing this project. Help is needed cutting out, sewing, serging, and embellishing the gowns. You are welcome to pick what you are most comfortable with. Basic sewing supplies - scissors, seam ripper, pins, ect.